This is IZULA-B KIT, you get the great little IZULA knife, but with this kit you also get..paracord,whistle,cordlock,split rings,snap hook,fireflint,MOLLE lock and hardware, as well as the molded sheath. 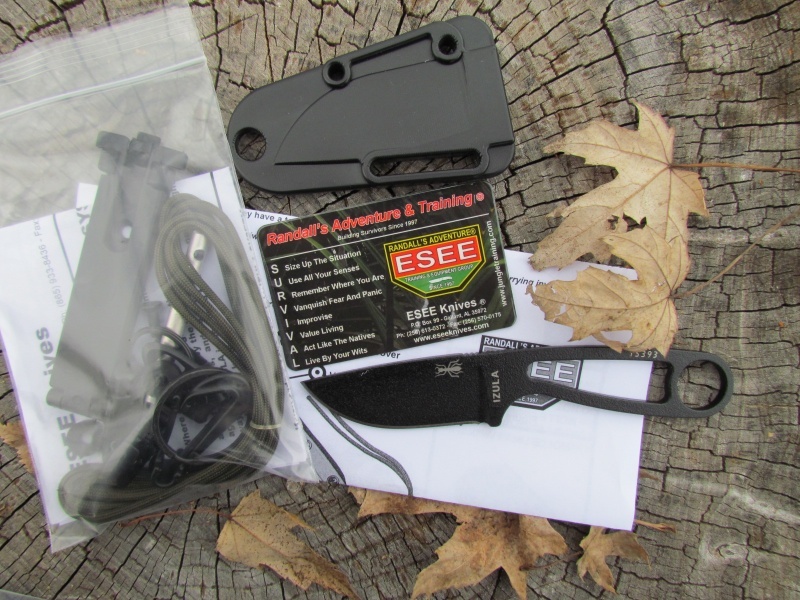 With this kit you can wrap the skeleton knife handle,hang/attach the knife in many different ways to your kit, start fires and whistle for rescue. A quality, well thought out kit based on the popular knife. 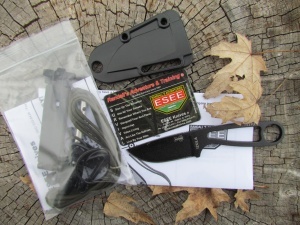 ESEE knives were formally known as RAT Cutlery. 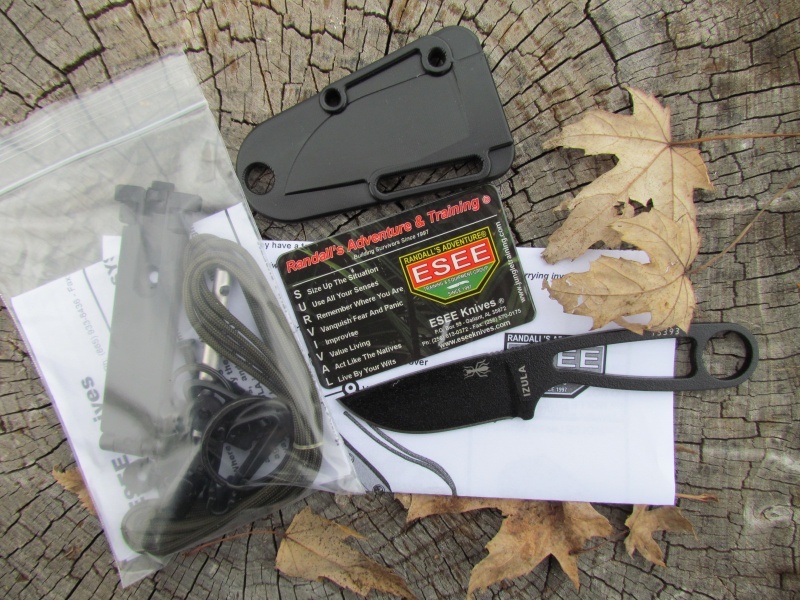 Purchase through PayPal by using the "Add To Cart" button above or use the form below to order the ESEE Knives IZULA-B KIT . 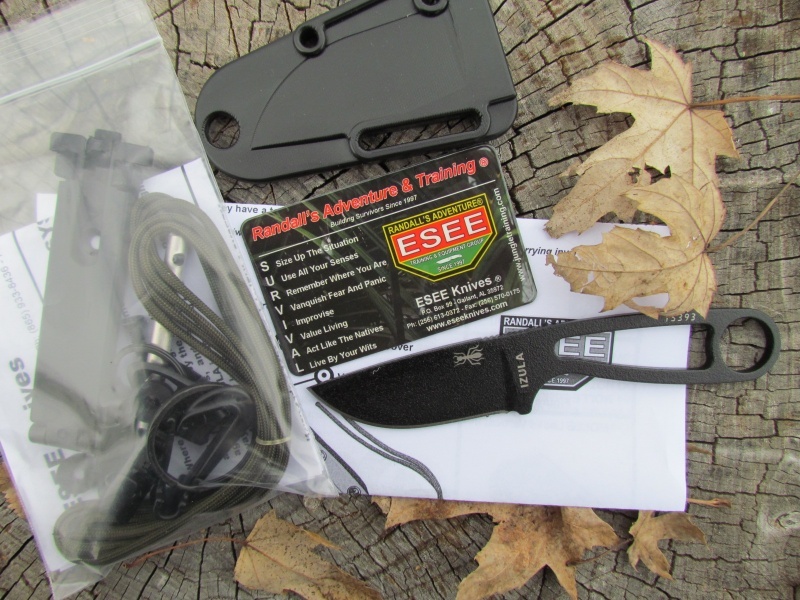 Feel free to contact us if you have any questions about the ESEE Knives IZULA-B KIT .